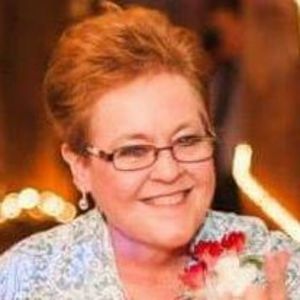 Julie Lynn Meixner (née Pearce), of Sun Prairie, WI, passed away on Sunday, June 3, 2018, surrounded by friends and family at UW Hospital in Madison, WI. Julie was 59-years-old. Julie was a fun-loving person, known as the life of the party by her close friends and family. Her contagious laugh, propensity for living life to the fullest, and loving soul will live on in her children and grandchildren. Julie was born to parents Thomas and Shirley Pearce on April 2, 1959 in Burlington, WI. She grew up the youngest of four and graduated from Burlington High School before attending the University of Wisconsin-LaCrosse. After moving to Sun Prairie, Julie began working in real-estate and banking, while retaining an interest in her family's floral shop in Burlington. Julie married the love of her life, Bruce Meixner, in 1983. They have four children, all of whom live in southern Wisconsin. Julie always encouraged her children to be themselves without apology, and as a result, her kids are lovable and kind, but also a bit stubborn, just like Julie! Julie is survived by her mother, Shirley Pearce; husband, Bruce Meixner; daughters, Kelsey (Ben) Kroeplin and April Meixner; twin sons, Thomas (Kristen) Meixner and Tyler (Ella) Meixner; sisters, Nancy Toepfer and Peggy Kogsta; brother, Robert Pearce, and two granddaughters Eleanor Kroeplin and Kora Meixner. She is preceded in death by her father, Thomas Pearce and nephew Chauncey Dardis. Julie will be cremated at Tuschen-Newcome funeral home. A celebration of Julie's life is planned for Sunday, June 10, 2018 between the hours of 11am and 2pm at Julie's daughter's home at 3125 Bull Run, Sun Prairie, WI 53590. Anyone wishing to share memories are welcome to attend and celebrate Julie's life. Flowers and condolences may be sent to the same address. Aunt Julie played a number of firsts in my life that molded many of my interests to this day. Most notably, Julie taught me the love of downhill skiing. The first time was a night ski at Alpine Valley. I remember watching and observing... collar up, a bandanna wrapped perfectly around her neck and her brown feathered hair making turns like a pro. She made a perfect slalom while laughing and smiling her infectious smile. To me, and I'm sure others, she was the picture of what a skier should be. Julie also taught me how to drive a motorcycle. Although, our first trip out didn't go as planned. It ended with me zigging when I should have zagged and I drove us off the road into a massive mud puddle. We both laughed until we cried... mostly because we knew one of us would eventually have to tell my mom (Julie's oldest sister) what had happened. Julie also introduced me to music - REO Speedwagon, Pat Benatar, STYX, Kraftwerk, The Go-Go's... the list and the memories go on and on and on. I love you Aunt Julie. RIP.